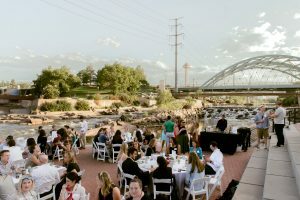 CityBuild Denver, chaired by Taylor Rockhold of the Flyfisher Group, engages the next generation of leaders in various events that educate, engage and inspire the community to shape and create a better center city. Stop by our coffee hours to learn how to get more involved while meeting other CityBuilders. To subscribe to the Activator list, please email Bonnie Gross at bgross@downtowndenver.com.